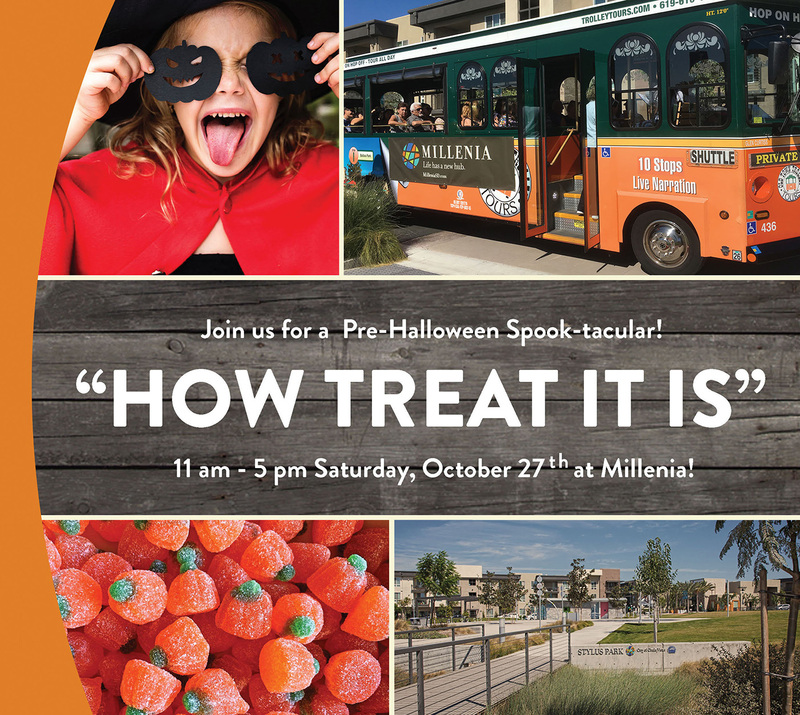 On Saturday, October 27th, Millenia’s streets lead directly to treats! Bring your kids for a day of scary-good fun! Ride a free trolley to take in the sights (and the sweets!) of brand-new neighborhoods like Alexan Millenia and Boulevard, and new releases from current favorites like Evo, Metro & Trio, Pulse Millenia, Skylar, Element and Z! Best of all, every Millenia community is just a 3-minute walk to shopping, dining, playgounds, parks and more! Now that’s what we call “frightfully” convenient!